With this project, CSCP is continuing down the path to better understanding material footprints and hotspots of different lifestyles. (The material footprint measures resource use over the complete life-cycle of products, services, and activities that shape lifestyles, e.g. 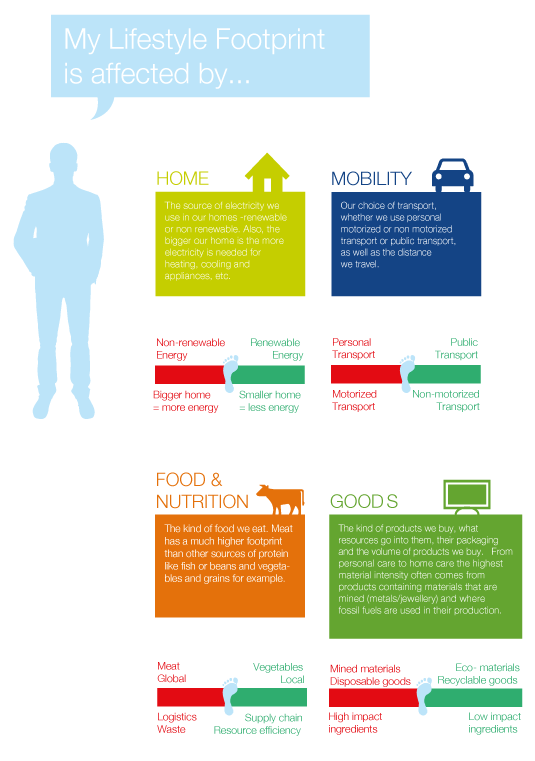 food consumption and mobility patterns.) Together with WBCSD and the Global Footprint Network (GFN), we are exploring the world we need to create – technically, practically, and emotionally – to enable companies to offer products and services that support the transformation to sustainable and aspirational lifestyles. This new world means taking change beyond reductions in product impacts. Instead we need to look for solutions that are innovative, systemic, and that focus on how products and services are integrated into individual lifestyles and interrelate with other stakeholders such as policy makers at the city level. Some of these innovations are being tested in a “living lab” : the ReNEWW house in Indiana, USA. This is a house that has been retrofitted by Whirlpool; it features solutions such as smart metering, energy efficiency applications, and renewable energy sources. Together with GFN, CSCP is calculating the material and ecological footprints generated by the ReNEWW residents’ lifestyles and comparing these with the lifestyle footprints of other residents living in the neighbourhood. This enables us to better understand the potential of the solutions implemented in the ReNEWW house for improving lifestyles. It also helps companies to understand the main challenges behind lifestyle impacts and where their innovation and product development efforts need to be focused. These ‘what if’ scenarios based on selected lifestyle hotspots help us build pathways towards innovative solutions and more sustainable lifestyles. 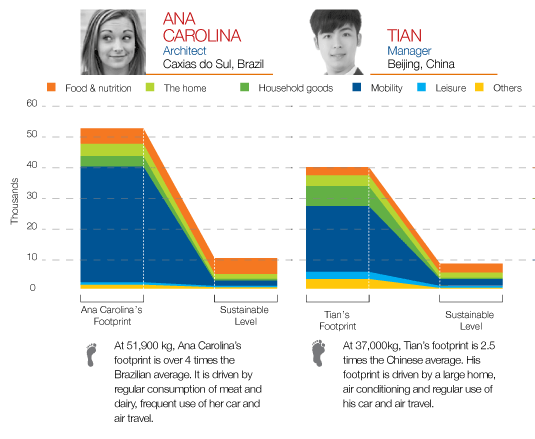 A further important part of the project is the attempt to combine the two footprints – the material and the ecological footprint – in order to include all aspects of lifestyle resource consumption. 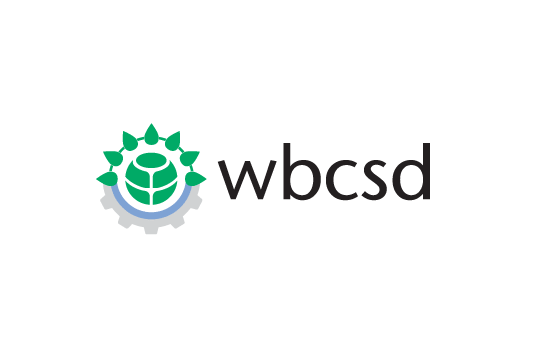 Apart from WBSCD, CSCP and GFN, several WBCSD member companies are involved in the project, e.g Procter & Gamble, British Telekom, 3M, Novozymes, Apple and Firmenich.